Widely known for its firearms, Colt Industries is more than a gun company. With 78 manufacturing plants in 25 states and several foreign countries, Colt is a broadly diversified, billion dollar conglomerate. It didn’t always look like Colt would be around long enough to expand into other businesses. The company was incorporated in 1954 as Penn-Texas Corp., the plaything of Leopold Silberstein. It was among the first of the conglomerates, growing entirely through acquisitions. The company staggered, however, and five years later the company was renamed Fairbanks Whitney Co. to establish a fresh identity for itself. What is today Colt Industries was born in 1962. That year George A. Strichman left his middle management job at International Telephone & Telegraph Corp. to become president and chairman of Fairbanks Whitney. Shortly after, he described the company as “a case history in catastrophe.” It had been through a decade of mismanagement and wheeler-dealing that ended in a flurry of proxy-fights and multi-million dollar losses. A few months later, Strichman recruited David L. Margolis, who had worked with Strichman at ITT, to be financial vice-president and treasurer. The company’s profile desperately needed to be defined. Its operation ranged from Pennsylvania coal mines and firearms to machine tools and a hodgepodge of other industrial products. To help the company make the transition, the company in 1964 adopted the name Colt Industries. The new management shied away from making long term goals because Colt dealt mostly in cyclical business. But by narrowing its products and markets, the company registered at impressive rate of earnings growth in its first few years. By 1966 the company had achieved its second year in the black. Sales rose to $191 million from $164 million the previous year, and earnings at $1.64 per share were almost twice that of a year earlier. Most of those profits came from the manufacture of military products for the Vietnam War. And that result didn’t include the $600, 000 earned on $8 million in sales by the newly acquired Quincy Compressor Co. But for a capital goods and defense company in the midst of booms in both businesses, these earnings were merely moderate. Colt earned less than 3% on sales at a time when well-run competitors were making 8% to 10% and more; even Colt’s creditable return on equity of some 13% the previous year was due in large part to the shrunken book value created by heavy writeoffs in 1962. But, Strichman told the media, the company was capable of paying its bills without relying on outside cash. With the war boosting the company’s market, Colt achieved an earnings peak in 1968, which it would not surpass for another eight years. It acquired Crucible Steel, which helped reduce Colt’s reliance on military business, but its large industrial group was actually operating at a loss during much of this period. By also buying Holley Caburetor and Central Transformer that year, the company managed to gain significant market shares in such product lines as fluid controls, automotive carburetors, aircraft fuel systems, and some types of water and sewage pumps. Those acquisitions enabled Colt to move forward while reducing its dependence on steel products. In 1972 earnings appeared to be on an upward trend throughout much of the company’s 19 divisions, which were broadly grouped into four categories. The largest unit, Materials, a producer of stainless steel and high alloy steel, accounted for about 42% of Colt’s sales and more than 65% of its profits. Demand at Crucible Steel was strong in all markets. Fluid Control Systems brought in 18% of the company’s volume and profits. That group was made up of Holley Carburetor, the largest imdependent manufacturer in its field, and Chandler Evans, which produced aircraft fuel controls, pumps, and valves. But not all of the Colt’s divisions were as healthy. 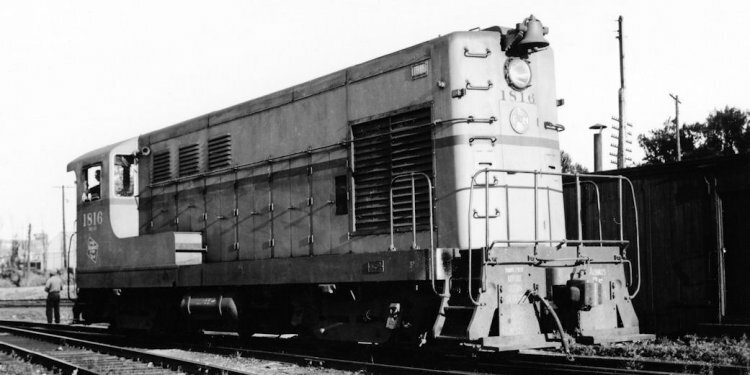 The Industrial and Power Group, comprised of Central Moloney Transformer, Pratt & Whitney Tools, Fairbanks Morse Weighing Systems, and Quincy Compressors, accounted for 31% of Colt’s sales that year but racked up a loss of close to $7 million. And the Firearm Division, which produces M16’s, police revolvers, and sporting arms, represented 9% of the company’s overall total and 15% of profits. Colt weathered the 1973–77 recession era, doubling its sales to $1.5 billion and quadrupling its earnings to $69.6 million. It had achieved that growth despite often sluggish markets for its specialty steel, machine tools, firearms, and numerous industrial products. Much of the success rested with Strichman, who didn’t hesitate to prune products that did not live up to their promise in profits, including large power generators, electric motors, piston engines, pumps, and compressors, among others. In 1977 Colt came under scrutiny by the Justice Department. A broad-scale grand jury investigation looked into illegal arms and ammunition sales to South Africa by Colt and the Winchester Group of the Olin Corporation. Both companies conceded that they had illegally shipped arms via third parties to South Africa, which was under an arms embargo because of its apartheid policy. The companies fired several employees who were said to have conducted the sales in violation of corporate policy and without knowledge of senior officials. Colt had adopted a more cautious attitude in recent years. For the five years preceding 1978, it had made no major acquisitions. And Strichman conceded to Business Week that he was paying little attention to outside opportunities. As he saw it, either asking prices were too high or built-in problems were too great. “We spent a generation cleaning up our problems. We’re not going to pay a premium to buy somebody else’s, ” he told the magazine. But if Colt was being more conservative about buying new companies, that didn’t stop it from playing the market with the companies it had. This prompted Business Week to observe that Colt moves “in and out of product lines so often that the company sometimes seems to be run like a floating crap game.” That year Colt phased out several models of commercial firearms—the company name derived from its venerable Patent Fire Arms Manufacturing unit. At the same time it was trying to absorb Menasco Manufacturing Co., an aircraft landing gear producer acquired the previous year. By entering industries that cycled at various times, Colt buffered its position against economic downturns. The automotive caburetor business, for instance, is affected by new car sales, but also has a flourishing replacement market to fill the gap when new car sales drop. Sales of Colt’s electrical distribution transformers depend largely on the rate of residential and light construction, where market trends do not necessarily coincide with capital spending by such industries as paper, petroleum, and chemicals. The last is Colt’s primary customer for alloy tubing and pipe products.